It's always been important to write online content for people and not search engines, but many entrepreneurs didn't always listen. They just wanted something up to attract the search engines and rank high. Worse, some unscrupulous "marketers" used trickery to get people to visit their website to only be redirected to more advertisements and paid links. While I understand we are using tools and the excursions we know about search engine optimization and marketing for good, the changes are actually very great for businesses. With the changes in search engine results, if you want to compete, you'll have to concentrate on high-quality content as opposed to simply getting any content up. The higher quality the content that you have, and the more relevant the SERPS become, the more you're going to appear in results for viewers searches. Don't examine the changes as something awful. They are good for you, the honest business owner. 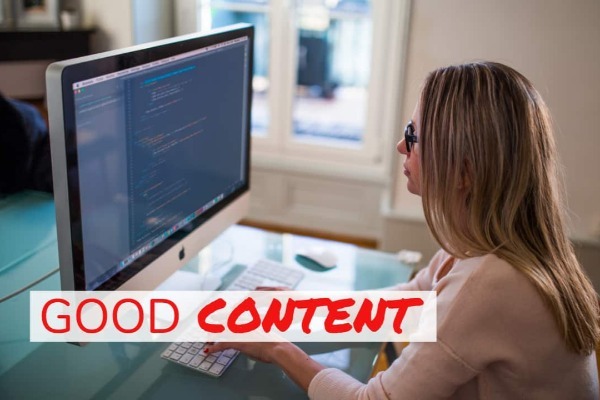 You will need to know what constitutes quality content and seek to ensure that all the content on your website meets those expectations. It is not hard to research what you want to say before you say it. It's important that content be accurate, reflect some knowledge of the topic as a result of research. If it is not well developed it is going to appear unprofessional and not get the results you need for your organization. You don't have to have perfect grammar, and you don't need to write college level material (unless your audience requires it) but you do have to use common language your target audience could use, and write to their degree. You don't need to talk down to people, and you don't wish to talk over them either. Online content writing requires a deep comprehension of the niche as well as the audience you're trying to reach. Timely topics as well as "evergreen" issues are important to the life of your site in addition to generating traffic. Evergreen topics are good although if your subject is all about technology you might have to update evergreen blog posts and articles in a while. A combination of types is important to demonstrate your authority on the subject. Along with both timely and evergreen topics you'll need to include a wide assortment of types of content. The types of content that you can include on your site (and off) are: blog posts, articles, white papers, reports, eBooks, tutorials and more. It's also to create content in many forms such as text, video, audio and infographics. As search engine technology improves, hoping to serve up relevant results to users, if you follow these guidelines for high quality content you should end up getting excellent, high ranking SERPS within your specialty. You may also want some good quality links, and that is where we come in. We will do outreach and get permissions to post guest blogs on niche relevant sites. they will then link to your site, and that will boost your rankings. You can read about guest blogging here.